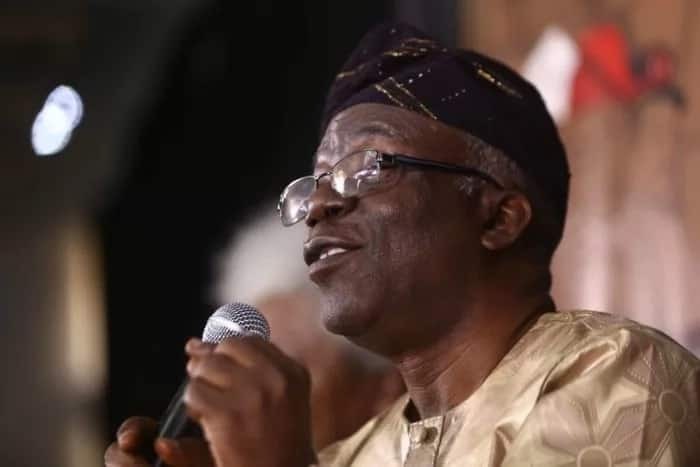 Falana and Falana’s Chamber has accused the Ministry of Interior of criminally diverting public funds into another separate and dedicated account, an act which contradicts the Treasury Single Account (TSA) conduct of the Nigerian government’s law. A part of the accusation said the ministry without consultation jacked up the Combined Expatriate Residence Permit and Alien (CERPAC) fee to $2,000 from the initial $1,000 without consulting the existing law, Sahara Reporters reports. The chamber also accused the ministry of increasing the payable fee by resident foreigners in the country by a 100 percent, where only 30 percent and not the whole money was paid to the federal government. The petition read: “Apart from the fact that the huge amount of revenue realised from the increase of the CERPAC fee is not captured in the Appropriation Act 2018, the engagement of foreign consultants to collect it is a contravention of the Presidential Executive Order No 5 of 2018, which has prohibited the engagement of foreigners to perform services, which can be provided locally for Nigerian citizens. Meanwhile, Legit.ng previously reported that the Peoples Democratic Party (PDP) said that President Muhammadu Buhari failed his integrity test and has no moral rectitude to pontificate on corruption, stressing that the president entangled himself and soiled his administration in corruption. The party's stance was contained in a statement sent to Legit.ng on Sunday, February 10 by the spokesman of the party, Kola Ologbodiyan.